The extra fruit salad I had laying around from last nights dessert? 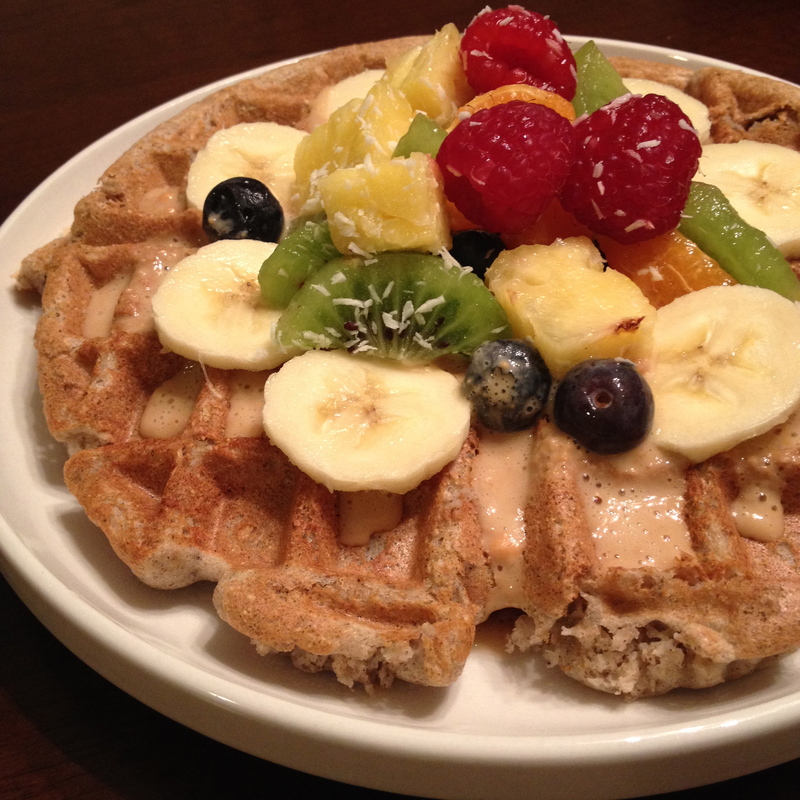 Well, like I said, it was a perfect topping to my vanilla protein waffles this morning. *melt a banana by slicing it and putting it in a microwave safe bowl for :30sec. It will be gooey, caramelized, and just plain ‘ol yumminess. This will add moisture to the pancakes/waffles! Yay potassium! Combine all but almond milk into a bowl and mix. 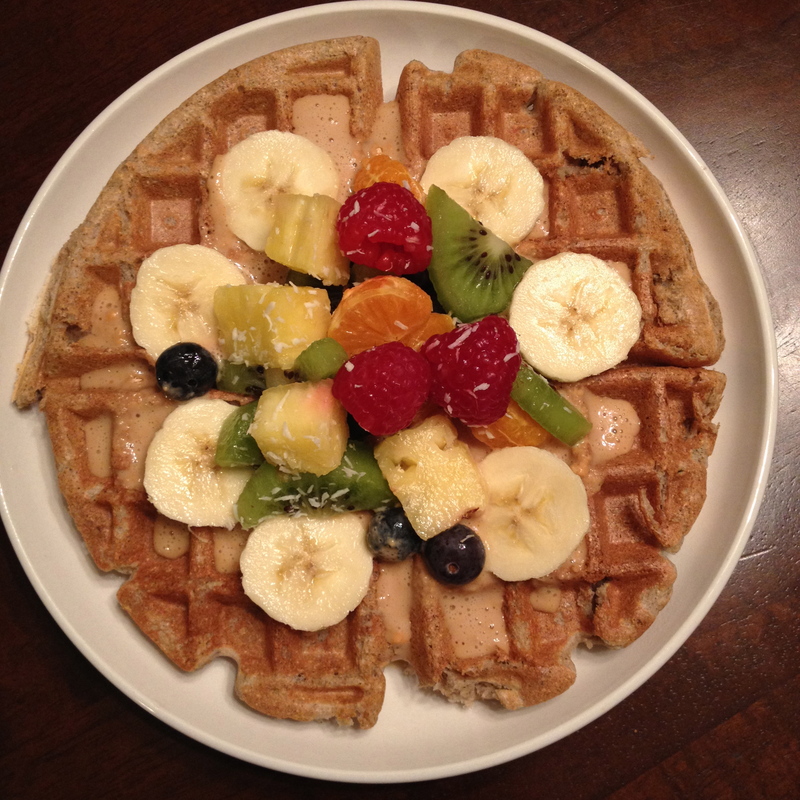 Pour batter into a waffle maker. If pancakes are more your fancy, this recipe makes 2 Medium sized or several silver dollar beauties. 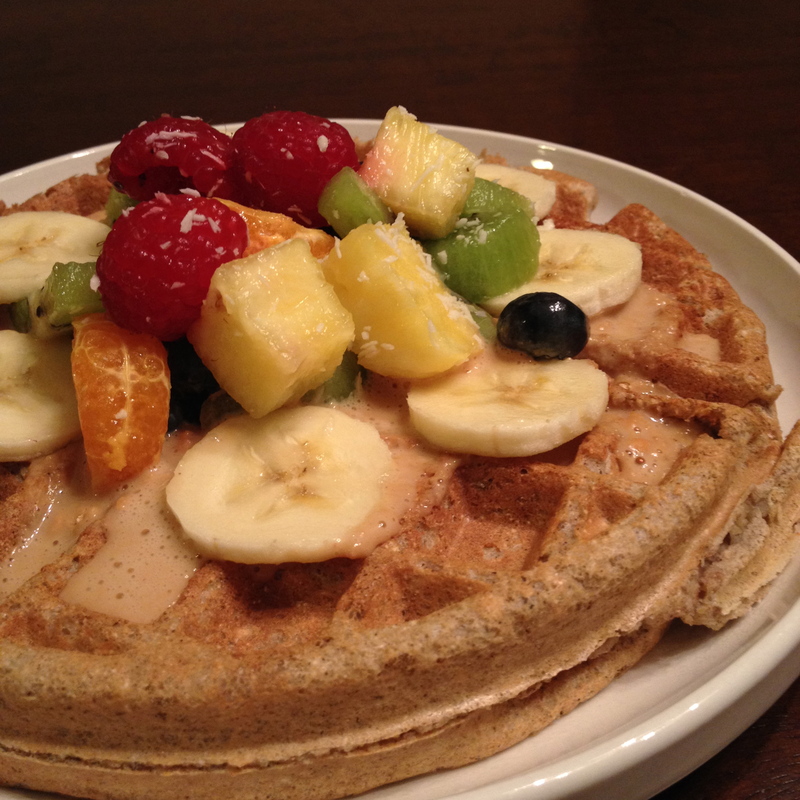 When finished, top with peanut butter glaze (recipe below) and fruit salad. mix all 3 and add more liquid if needed for consistency. This looks SO, SO good! I’m seriously going to have to make these. 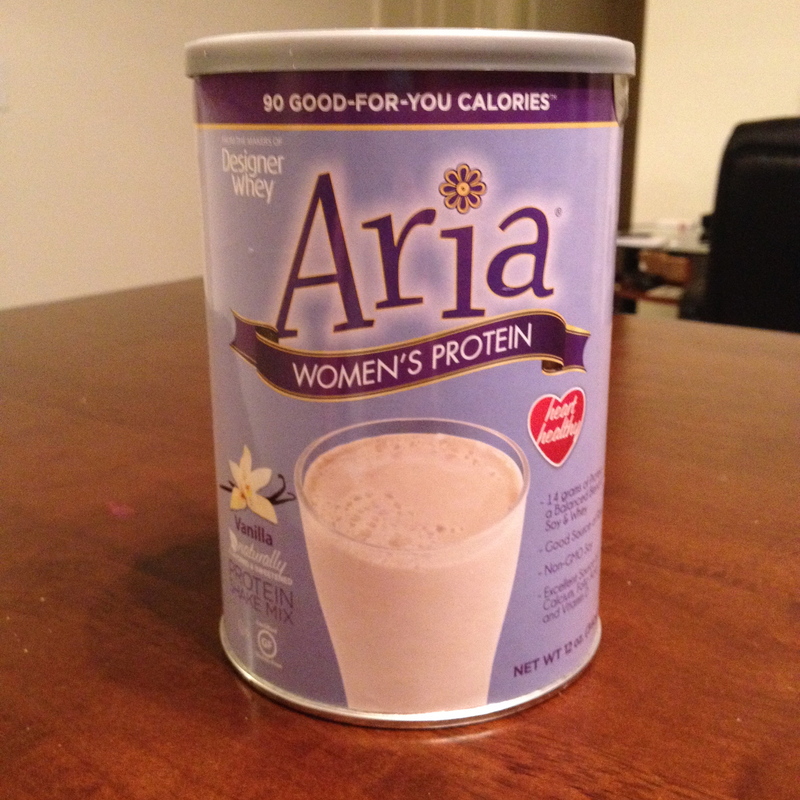 I never get enough protein.